Transition time in classrooms has always been a struggle. How do we get our students ready for the next class in a timely manner? So much time can be wasted with students not having their materials ready in a timely manner. But it doesn’t have to be this way. We have 5 sure fire ways to make transition time go smoothly in your classroom. This is our go to method for transition time. We have an digital timer that we set for a specific amount of time and display it on the document camera so students can see. They look at this as a challenge and are always trying to beat the timer. It is by far our best way to get students ready for the next subject. There are many songs that you can find on youtube or out of your personal collection that only run for a certain amount of time. The Jeopardy theme song or the Mission Impossible theme are class favorites of ours. Find songs that fit you and your classroom and let them know that they have to be ready once the song is done. You can also show a favorite video clip to the students that is a specific amount of time. It can be a science, reading, math or even an approved engaging video clip that you can use in your classroom. The goal would be for the students to be ready by the time the video is done. If they are ready early, they can enjoy the rest of the video. 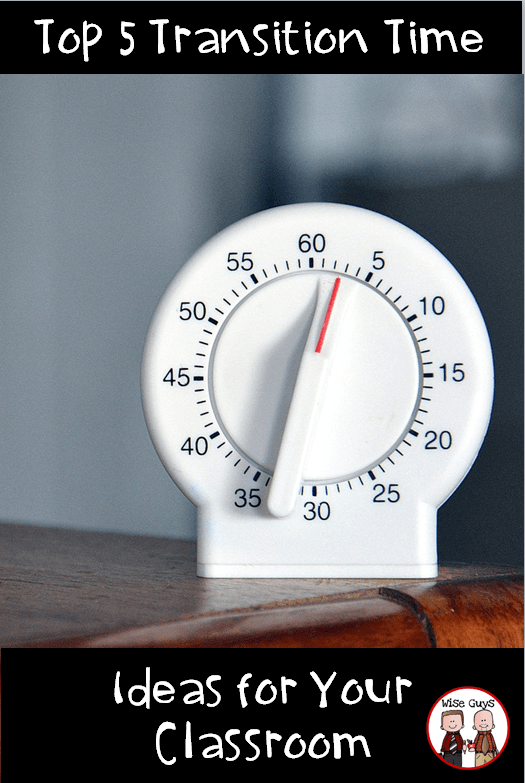 This is similar to #1 above, but it is an online timer that you can use. You can use the one here of if you type in a Google search for “online timer” Google has one too. This is easy to display on the projection system in your room so students have a visual to see as the time clicks down. A fun way to get your students to transition quickly is to play a Go Noodle video. Students will quickly get their materials out and then will want to participate in the video. We would love to hear ideas you use in your classroom for transitions! When we were kids social studies was taught directly from a textbook. We would read a lesson, do the questions at the end of the lesson and then repeat until the chapter was done. At the end of the chapter, we would take the test from the book. This went on for most of our elementary and middle school lives, the same boring routine, the same boring textbooks. It wasn’t until we took the social studies methods class in college that we realized that there was so much more to the teaching of social studies. Our past teachers had made the subject so drab that we couldn’t possibly think that social studies could be exciting, engaging, and fun to teach. That thinking was about to change for us and was about to change for the students we were going to teach. It was time to make history engaging. First, our college professor told us that the textbook should not be “The Bible” of a social studies curriculum. It should be one of the many resources that you can use to share knowledge. It should not be the only source that students are exposed to in social studies. Second, teachers should incorporate both primary and secondary sources into the lessons. What better way for students to learn then through the primary source documents of the Declaration of Independence, the Constitution, the Gettysburg Address and so many other sources crucial to US history. History comes alive when students can access actual documents that are part of the United State’s past. Third, involve all 8 strands of social studies into your units. The strands are: citizenship, culture, economics, geography, government, history, science/technology/society, and social studies skills. There is so much more to social studies than just history. All the strands are intertwined together and help to tell a bigger picture of what happened in US history. Fourth, use an inquiry approach to pique students interest. Many states have now gone to inquiry based learning for social studies. According to the Wisconsin State Standards for Social Studies, “Advances in human knowledge come about not because people can memorize factoids or were great at filling out worksheets in school; rather they come about when people ask questions and pursue those questions in critical ways.” We must allow our students to ask questions about the past, formulate questions, and then seek out answers using multiple sources. As kids, we never worked with a partner or in groups. It was always by ourselves with our textbook. In the modern workforce, most jobs require the ability to work with others. As educators we have to help teach our students how to work cooperatively in groups, how to compromise, and how to come to a consensus. These life skills are crucial to success later in life. Social studies lends itself to partner projects, group work and whole class debates. This is the perfect time during the school day to let your students work together to analyze documents, critically think about historical events, and to collaborate together. Being social studies teachers for the past 20+ years, we have been able to develop some engaging and creative social studies units based around United States history. Below are a few examples of how the teaching of social studies can be engaging, creative, and meaningful for students. Give your students the Oregon Trail experience. We’ve built a simulation activity that will engage your students from Independence, Missouri, to the Northwestern part of Oregon! This resource provides an interactive experience that engages students to become pioneers and make decisions vital to the survival and success of their caravan wagon. As wagon members, each student will have a specific job to do in their journey to the Oregon territory that keeps everyone involved until they reach their destination, or a tragic end! Watch your students have a blast while participating in the Oregon Trail simulation and leave them with an advanced understanding of the period, along with critical thinking skills. You can find it by clicking here. The purpose of this Declaration of Independence activity is to engage your students by having them become detectives and learn about the Declaration of Independence in a fun and engaging way. Students will become Declaration Detectives and will have to dig into the famous document to find out why it was so important to the Patriots and how it changed history forever. You can find the resource by clicking here. The purpose of this activity is to engage your students in an American Revolution Escape Room activity. Many of the American colonists have been suffering from fatigue and extreme forgetfulness. It is up to the students to solve the mystery quote and the person who said the quote. Students will learn more about the American Revolution as they work through five different clues (activities) to help them escape (or return) back to the 21st century. Find the Escape Room activity by clicking here. The Constitution contains phrasing that can make it difficult to grasp all the concepts. But in this activity, students will be able to break down the terminology in terms they can understand. Make it easier for your students to be Constitution Detectives, not harder. Click here to read more! You will also want to try out our free resources below. They will give you a taste of some of ways we cover material in class. This is a great activity to get your students ready for the Oregon Trail Simulation. 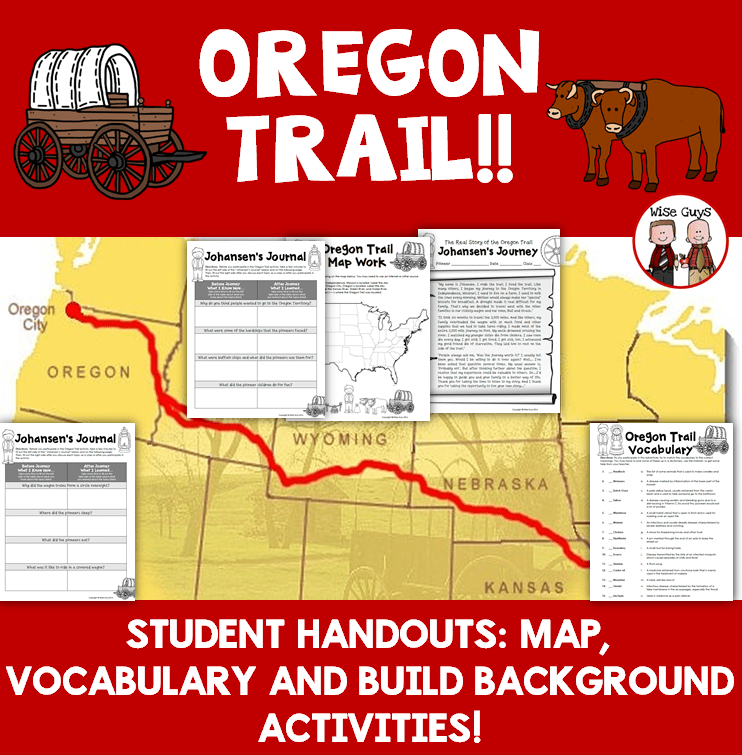 Included in this free resource is: an introductory letter from a pioneer, two pages of questions to answer about prior knowledge of the Oregon Trail, key vocabulary related to the journey westward, and a United States map to locate important places along the trail. This intro activity will get your students excited about learning more about Westward Expansion. 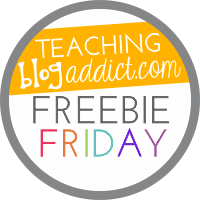 Find the free resource here. In this activity students will have to use evidence to support their answers about the Civil War. Included are 10 questions, a response sheet, and a hints page to help students to cite evidence. This is an important skill that all students should learn. You can find this by clicking here. Make history engaging for your students. It is that time of year when teacher morale starts to slip a little. It is the doldrums of winter; less sunlight, colder temperatures, and less patience in the classroom with your students. You are ready for a change, or for some inspiration to hit you, so you can get through the couple of months before spring break. 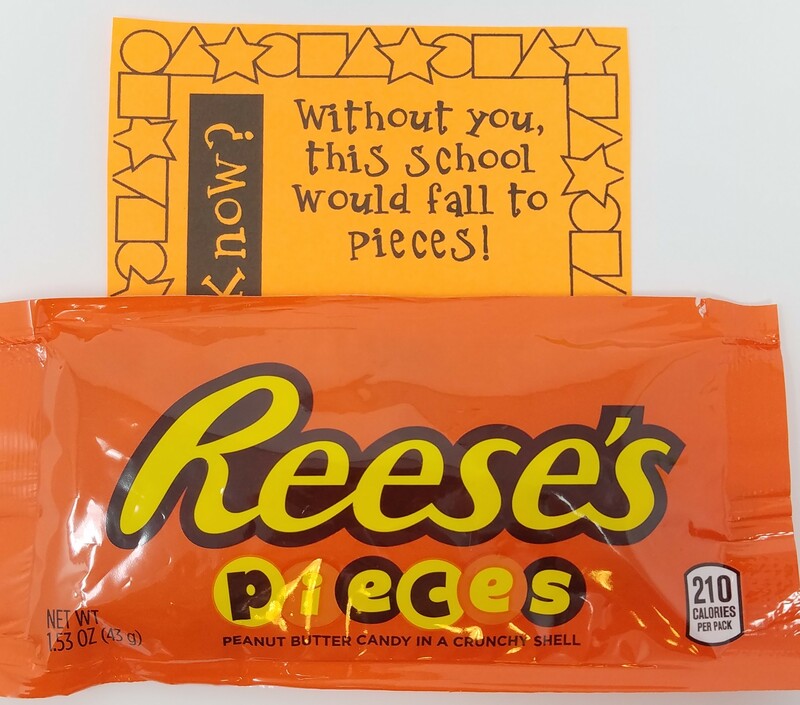 Well, we have found the perfect solution to help boost teacher morale in your building, teacher gift tags with treats! Who doesn’t love a little surprise in his/her mailbox in the morning? With these 12 creative teacher gift tags, you can surprise your colleagues and put a smile on their faces. Included are 12 pages of gift tags. On each page there are four different options to choose from for each treat. 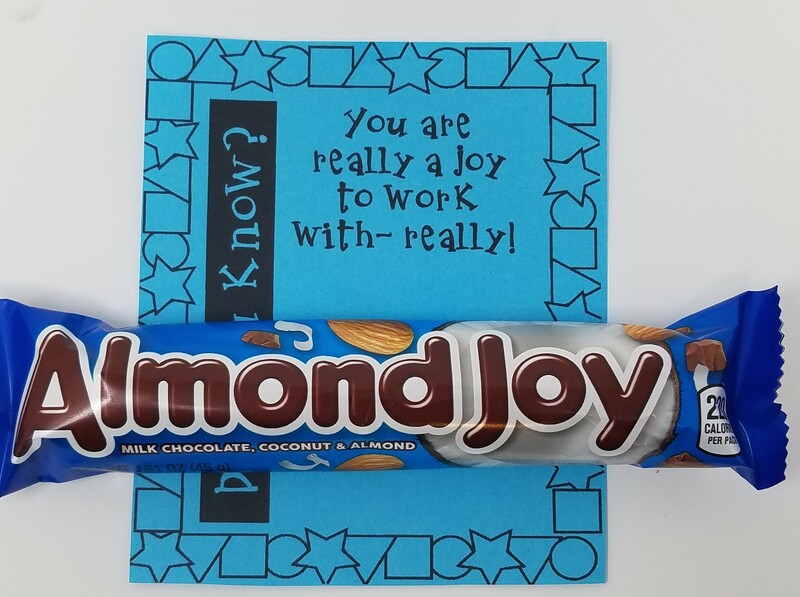 You can decide to give your colleagues the same treat, all a different treat, or a mixture of both. The possibilities are endless! You can choose the snack size portions or the larger bars. In our examples below we chose the larger bars for our colleagues. We know that your colleagues will appreciate this gesture. It is a relatively inexpensive way to show them how much they mean to you. It will also make you feel good knowing that they mean so much to you! You can find the gift tags by clicking here. If you are looking for other ideas to help boost morale in your building check out our inspirational quotes and sayings by clicking on the links below. We know these teacher gift tags will be a hit. 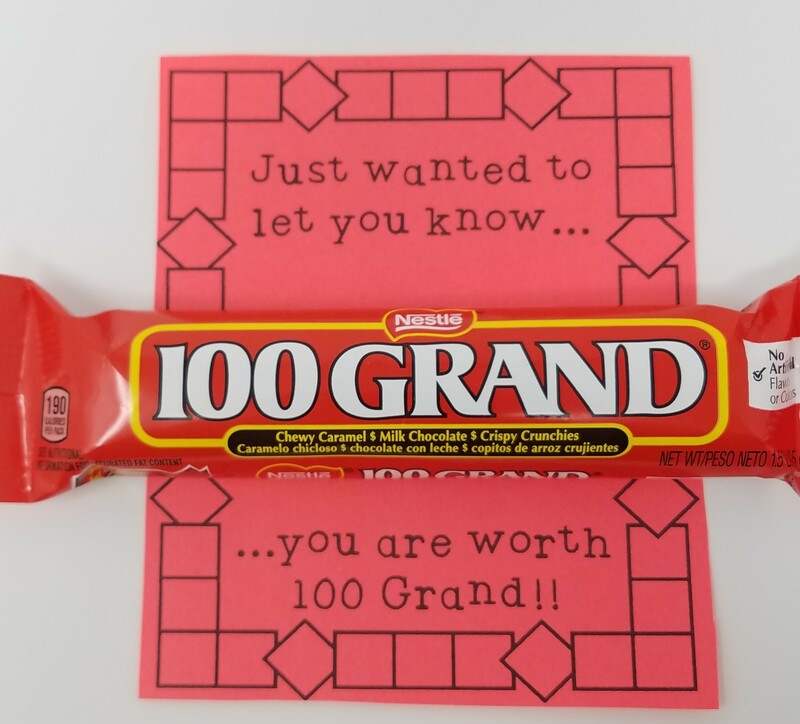 Have fun spreading the cheer in your building! Going to school every morning can be a struggle some days. You want to lean over and throw your alarm out the window. You may stub your toe getting out of bed, spill part of your breakfast (whether it be a solid or liquid), or even put your clothes on the wrong way. When days like this happen, you know it is usually not a good omen for what will transpire at school. Your drive to work is filled with “What else can go wrong today?” Just the thought of entering the building sometimes is enough to want you to stay in your car and listen to that one last song a little bit longer. When these terrible, horrible, no good, very bad days occur, what can we do as educators to stop them in their tracks? Is there a way to start the day on a positive note? No matter how crappy of a morning you have had up to that point, your invisible superhero cape is wrapped around your neck. Your superpower is teaching and it is time to shine! OK, maybe we got carried away a little bit here, but it is true. Those students are counting on you to be your best each and every day. We all know that is a hard standard to live up to each and every day. But we have to try. One of the things that we have done recently is upon entering our classroom is read an inspiring quote that helps us get focused for the day. We didn’t think a simple saying could do the trick, but it has. A daily reminder of who we are and why we teach is powerful. Just taking time each morning to read the quote and look at the picture inspires us to be the best possible teachers we can be for our students. That is why we created a set of 30 inspirational and motivational quotes for you. They would be great to print out and display in your classroom. Or you could keep them as a digital file and look at every day. We know it has made a positive difference in our attitude. And isn’t that what this is all about? If we can start the day knowing that we make a difference, that will positively impact our students’ lives. You can find the inspirational quotes by clicking here or on the image below. 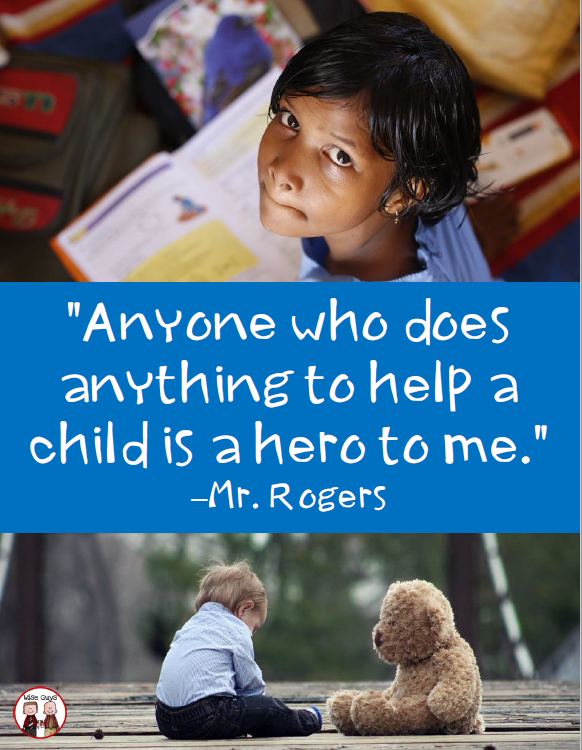 Thank you for all that you do for the children you work with each and every day! On August 28, 1963 Dr. Martin Luther King, Jr. delivered his famous “I Have a Dream” speech in Washington, D.C. In this speech, he called for civil and economic rights and an end to racism in America. The road he traveled was not easy. He fought long and hard against some of the most powerful people and groups in the United States. His passion and determination helped to spark change for equality for all. Public education and the teaching profession is currently at a crossroads. The system is being challenged by private charter schools who do not face any accountability measures. Teacher morale is low. State and national mandates continue to trickle into our classrooms. Pay is not on the same level as other professions with the same college experience. Many educators ask themselves why they are still teaching. What can we do about all this negativity? As educators, we do have the power to instill change in America’s schools. We do have the right to stand up for our students and for our profession. Change will not happen overnight. It is a process, however, that must start now. We must begin to implement small steps in our buildings that will eventually lead to change at the local, state, and federal level. January is the first month of the new year. It is also the month where we honor and celebrate the life of Dr. Martin Luther King, Jr. This is the perfect time to begin to instill change. As educators, our dreams for our students and our profession do matter. If we want to instill change, it starts with our hopes and dreams for what we would like to see in public education. Your dreams do not have to be big. Every dream matters, even the smallest one. Your task is to complete the accompanying activity below as soon as possible. Then you are to post it in a place where you will be reminded daily of what your dream is for the rest of the school year. You do make a difference in the lives of the children you teach. You can make a difference in change in public education. Let us each be an agent of change. Let us work toward improving public education for ourselves, our colleagues and our students. To find the FREE teacher “I Have a Dream” resource, you can click here or on the image below. If you would be interested in our 50 Teacher Morale Cards that contain inspirational and motivational quotes and sayings (perfect for your desk) click here. Why is that? Why don’t we educators take care of ourselves in our profession? Our New Years’ resolution is to work on providing you, the educator, with the motivation and desire to finish the second half of the school year strong! We know that low teacher morale can be an issue in education. You work your tail off and put every ounce of effort into your job. Your students are put in front of your own family. You make a difference each and every day, but hardly hear that from anyone. We are here to tell you that you do matter! You do make a difference in the lives of your students! You need someone in your corner, someone who is there for you! Well, we want to be the ones you can count on for motivation and support! 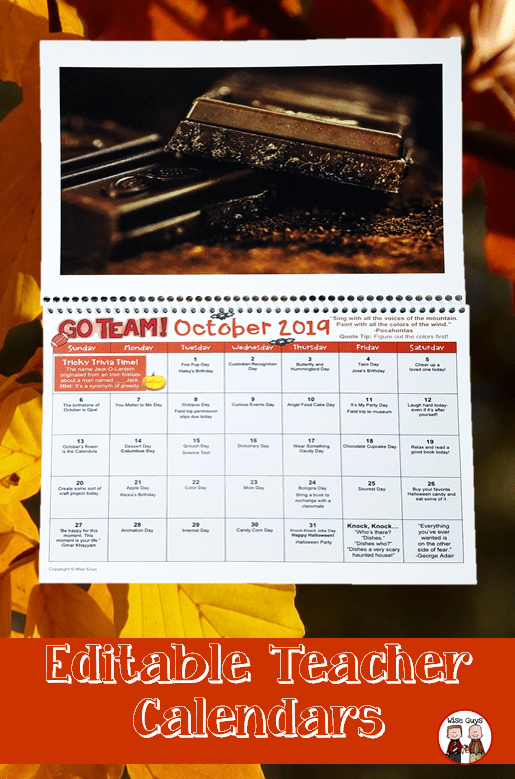 Throughout the rest of this year we want to provide you with the tools necessary to help improve your morale and motivation along with engaging your students in the classroom. We will be providing you with ideas on how to boost teacher morale in your classroom. Whether it be some helpful teaching tips, strategies to save you time, or even some free resources, we will be here for you! Teaching is hard enough. But with all the added pressures of standardized testing, increased meetings, more accountability, and a increasing stack of paperwork, educators need a place where they can go to. You matter and we are here for you! 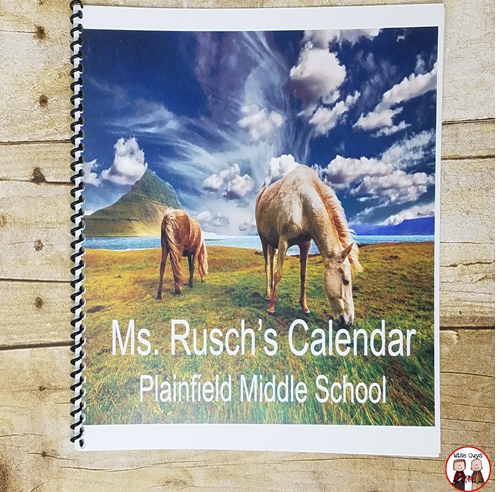 Below is a great resource to help boost that morale in your classroom, a colleague’s classroom or your whole building. There are 50 teacher morale cards included that contain inspirational or motivational sayings. They are easy to print out, cut out and make into flip books that can be kept right on your desk. Whenever you are feeling down, simply page through the book. You will find that it will be very helpful. You can find the cards by clicking here or on the picture below. Let’s make 2019 the year that we take back teaching for ourselves. The year that we educators start to stand up and fight for what we know is right. It all begins with you! Please subscribe to our newsletter for monthly tips, strategies, and free resources to help boost teacher morale! One of the toughest obstacles teachers face is planning reading for their students. We all know that organizing multiple groups at different reading levels can be challenging. It is also hard to find the right books for those students who may not have an interest in reading at all. On top of all that, your own school district is increasing accountability measures on standardized test scores and you are feeling the pressure of helping your students succeed. 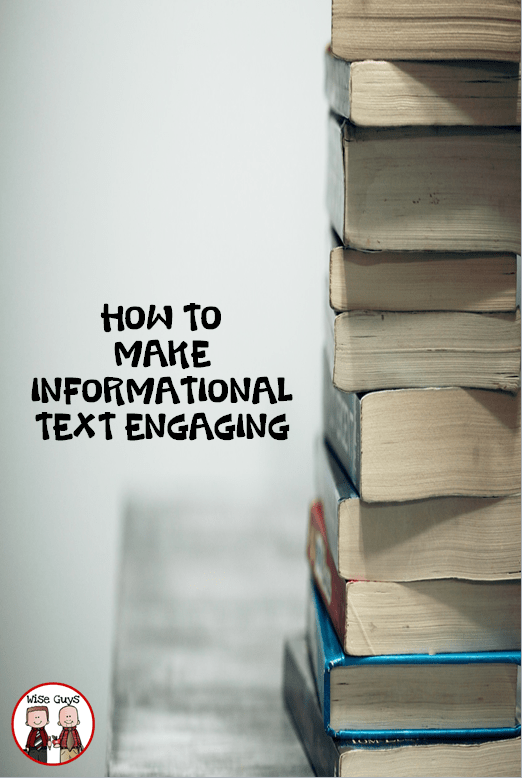 We are here to offer some amazing tips on how to make informational text engaging for you students. If students are engaged, learning will take place. Informational text is always the most difficult type of text to read. 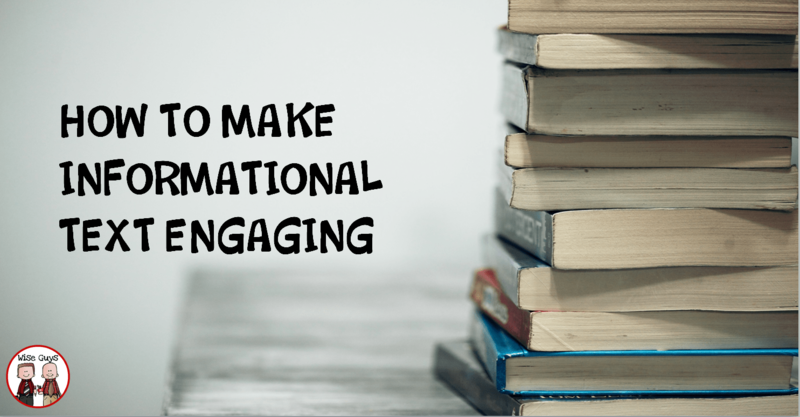 Below, we have outlined steps that you can implement to help make informational text engaging for your students. If you have not used this strategy yet, you should! We begin by taking an image from the informational text. We cover any words that are on the image that may give away the topic. 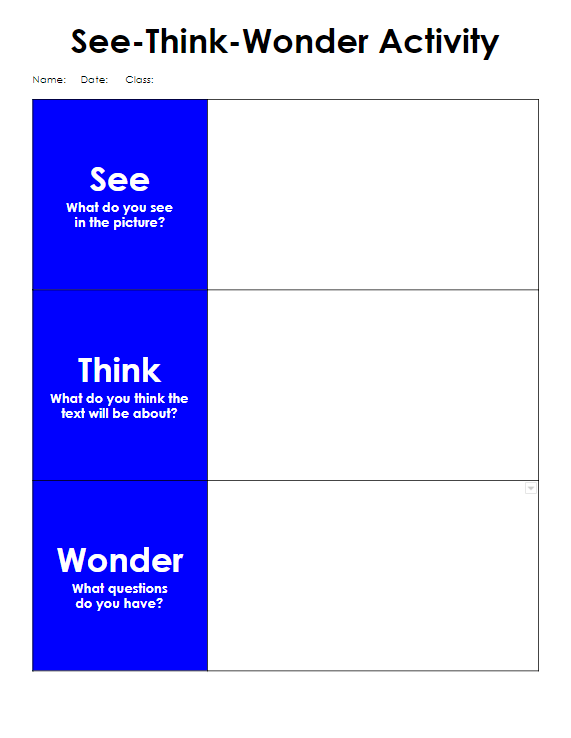 Then we have students fill in the see think wonder chart. First, they write down what they see in the picture. They want to list colors, shapes, objects, textures and anything that their eyes visually see. Then, we move onto the “think” column. In this area, students write down what they think the text will be about. They use clues from what they see to determine an answer. The final column is “wonder.” This is where students write down questions they have about the image or about what the text may be about. We then go through each column as a class and reveal what the text will be about. This pre-reading strategy is a great way to get students engaged from the start. Click here to be able to access one through google drive for free. Now that the students know the topic, we have them work on the first two columns of a KWL Chart. In the “K” column students list everything they know about the topic. This gets their brains working and thinking about the topic. IN the “W” column, students list what they want to know about the topic. Listing what they want to know also helps them focus on things they are curious about and may want to explore if the text does not cover their questions. The KWL strategy is great for engaging their minds around the topic. You can purchase our KWL chart here. Most times you can find a video about the topic that the students will be reading about. If you subscribe to Scholastic News, they have videos about their main articles that can be accessed. If your school uses Safari Montage as a video provider, there is a huge database there too. YouTube is another source that can be used. Just make sure to preview the video before showing. It is important to re-visit the KWL strategy when new learning occurs. After the video, allow students to add any new information that they learned, Also, make sure students use their KWL chart while reading as well. Informational Text can follow many different text structures. It is important to identify the structure of the text to help students determine meaning. Whether it be compare and contrast, cause and effect, or problem and solution, students need to know the structure of the text so they can be successful readers. It is crucial that you discuss these text structures with your students and what to look for. We have informational text strategy cards that are available here for you to purchase. Identifying the author’s purpose before reading is also important. 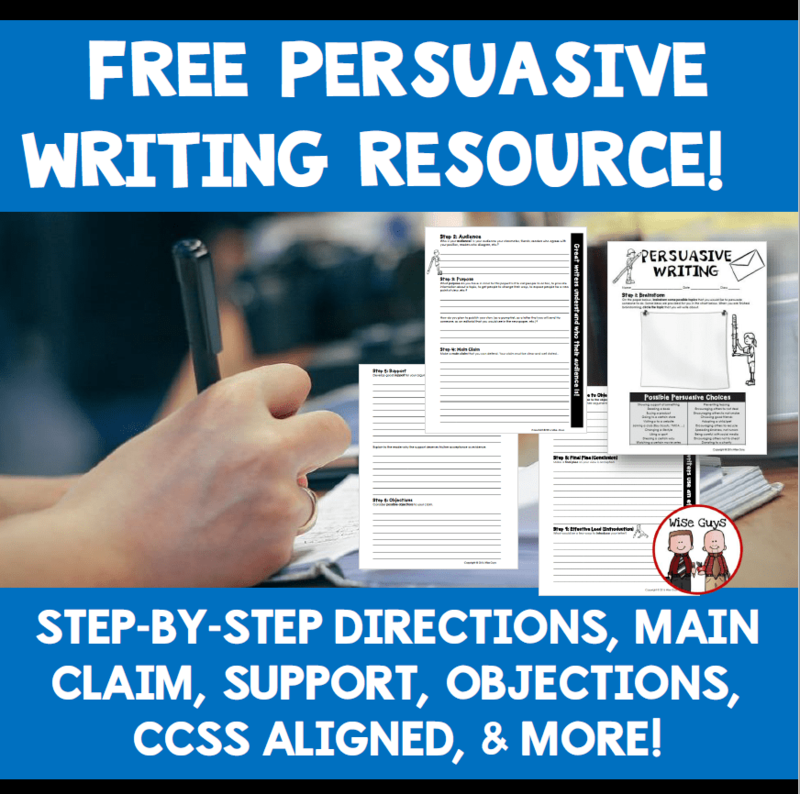 Does the author want to persuade, inform, or entertain the reader? This helps the students know what to expect from the informational text. It provides a focus for them and allows them to read with a purpose. We have the below anchor chart and a Power Point slide show available for purchase here. The obvious next step is to have the students read the text. You can decide as a teacher how you want to do this for the initial read. It could be alone, with a partner, in a small group, in a group with similar reading levels, or mixed abilities. Decide on how you want the students to learn from the text. It could be a graphic organizer based on the text structure such as a cause and effect chart. Or it could be notes students take regarding a focus question that you may provide. The point is to be able to read the text for meaning. It is always important to re-visit the text a second time and to dig deeper. We like to provide our students with highlighters or gel pens for this step. We then post a common core aligned question for them to answer. The key is for them to search for evidence to help support their answer. This is where the highlighters and gel pens come in handy. It makes it fun for them to use something other than a pencil. Of course we want to know what our students learned and if they can effectively demonstrate proficiency in a standard. This is where we will have the students finish filling out the “L” portion of the “KWL” chart. We will also have the same common core question for them to answer, but now they have to take that evidence and support their answer. This is an important skill to teach as most standardized tests require students to cite evidence in their explanations. maybe play that in class too. It is important to connect what your students are learning to the real world. Take some time to do that! Be on the lookout for our next post on how to make literature engaging for students. You won’t want to miss our Guided Reading Bundle that is our top seller and contains over 40 engaging literature activities for you to use right away in your guided reading classroom. You can find it by clicking here.